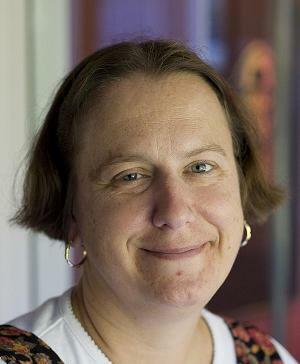 Anne Monius is professor of South Asian religions at Harvard Divinity School. Her primary research interests lie in examining the practices and products of literary culture to reconstruct the history of religions in South Asia. Her first book, Imagining a Place for Buddhism: Literary Culture and Religious Community in Tamil-Speaking South India (Oxford University Press, 2001), examines the two extant Buddhist texts composed in Tamil. Her current research project, Singing the Lives of Siva’s Saints: History, Aesthetics, and Religious Identity in Tamil-Speaking South India, considers the role of aesthetics and moral vision in the articulation of a distinctly Hindu religious identity in twelfth century South India. Both works point to a larger research focus on the ways in which aesthetic and ethical concerns define religious identity and community in South Asia, as well as to the creative and productive encounters among competing sectarian religious communities. Twice a year — as my thoughts turn toward a new semester and the crafting or updating of at least two course syllabi — I begin scouring my bookshelves, library catalogs, and online lists in search of accurate, readable translations of South Asian texts that hopefully cost less than a plane ticket to India. The Bhagavadgītā is never a problem; there are currently well over thirty inexpensive English translations readily available, and a fellow South Asianist once told me that, after the Bible, the Gītā is the most oft-translated text in the world. But how many classes could — or should — I develop around a single text? There are options when it comes to ordering selections from the Rig Veda or the Upaniṣads, the devotional poetry of Kabir and Mīrābāī, but where are the translations of Malayalam and Brajbhāṣā poetry? Tamil versions of the Mahābhārata and the Rāmāyaṇa? Persian texts written under the influence of Sanskrit philosophy and literary theory? Bengali maṅgalkāvya? Or anything composed in Oriya? Nothing invites students into the complex and fascinating intellectual and religious worlds of South Asia like accessible translations of primary texts. My own interest in those intellectual and religious worlds, in fact, began in high school, when a teacher handed me a well-worn copy of Hermann Hesse’s Siddhartha (the novel itself based on traditional sources of the Buddha’s life story, translated from the German by Hilda Rosner) and presciently said, “Here, try this. I think you might like it.” Like it, indeed I did, and during the ensuing years of struggle to gain reading competence in Sanskrit and Tamil, my interests in South Asian religious history were continually fueled by the painstaking labors of translators in a lineage that extends back to the late eighteenth century. Translation is often deemed a rather thankless task: something that all scholars, in fact, do all the time in one form or another, but work that is never completed and never perfected. George Steiner, in his celebrated After Babel: Aspects of Language and Translation (Oxford University Press, 1975), famously remarks that “‘translation,’ properly understood, is a special case of the arc of communication. . . . [and] inside or between languages, human communication [itself] equals translation.” We translate whenever we attempt to explain our ideas to another; that act of translation becomes all the more complex, even precarious, when the explanation moves from one linguistic register to another. Translation is critical to all human understanding, but the move from ancient Chinese, classical Arabic, Old Church Slavonic, or Sanskrit to standard modern English is fraught with interpretive and communicative choices. Does the English word “ritual” fully capture the semantic range of the Confucian li? Does the Sanskrit word ātman mirror the meaning of “soul,” which itself has undergone profound changes over the course of two millennia of Christian interpretation? It is no wonder that translation theorists lament “the misery and the splendor of translation” (José Ortega y Gasset, in an essay of the same title), weighing its “great difficulties” against its relatively “small delights” (Paul Ricoeur, On Translation, Routledge, 2006). Yet without translation, there would simply be no scholarly undertaking of any sort, no human understanding across or within cultures, historical time periods, or religious communities. Since my own entry into an academic field that never fails to fascinate and perplex me was first made possible by excellent translation work, I am very pleased to serve as editor of the AAR/OUP Religion in Translation Series (formerly the Texts and Translations Series), which I originally coedited with my colleague, Kevin Madigan (2005–2010). The Series is primarily dedicated to publishing work in three distinct areas. First, the Series seeks accurate, readable translations into English of important religious works from communities and traditions throughout the world. These might be works made available for the first time in English (see, for example, the recently published The Glory of Advaita: The Advaita Prakāśa, a Case Study in Hagiography by Rebecca Manring and John Krummel’s forthcoming Place and Dialectic: Two Essays by Nishida Kitaro) or works that have been translated in the past but that merit new translations for any variety of reasons (such as the recently published work by Archana Venkatesan, The Secret Garden: Translations of Āṇṭāḷ’s Tiruppāvai and Nācciyār Tirulmoḻi). All translation manuscripts should be accessible to as wide an audience of scholars and students as possible and should be accompanied by a substantial introduction that places the work in context and explains its importance to understanding a particular community, tradition, place, or time period. Second, the Series seeks to make available excellent secondary scholarship on texts of significant importance to the study of religion. In other words, the Series endeavors not only to provide primary-text translations, but also to publish interpretive work that opens up the world of the texts to an audience of scholars and students. Robin Rinehart’s Debating the Dasam Granth does just that for an important work of the Sikh tradition; Emily Hudson’s forthcoming Disorienting Dharma: Ethics and the Poetics of Suffering in the Mahābhārata offers a new and compelling interpretation of the celebrated Indian narrative that has been the focus of Indological study for more than two centuries. Finally, the third category of submission that the Series seeks represents a combination of sorts of the two themes above: translations of excellent secondary scholarship related to religious texts but originally published in languages other than English. Christine Thirlway’s recently published translation of six articles by Alfred Firmin Loisy, the noted French theologian and biblical scholar (Prelude to the Modernist Crisis: The Firmin Articles of Alfred Loisy), makes available to an English audience one of the earliest attempts to develop a history (in the modern sense) of Christianity. Adam Kamesar’s forthcoming work will present in English for the first time the work of the important Italian scholar of early Christianity and Patristics Pier Franco Beatrice. For more information on the Religion in Translation Series, please see the AAR website.